I started doing a gratitude journal in June of last year. I remember my first entry was the day after a bad day at work, where nothing seemed to go my way. 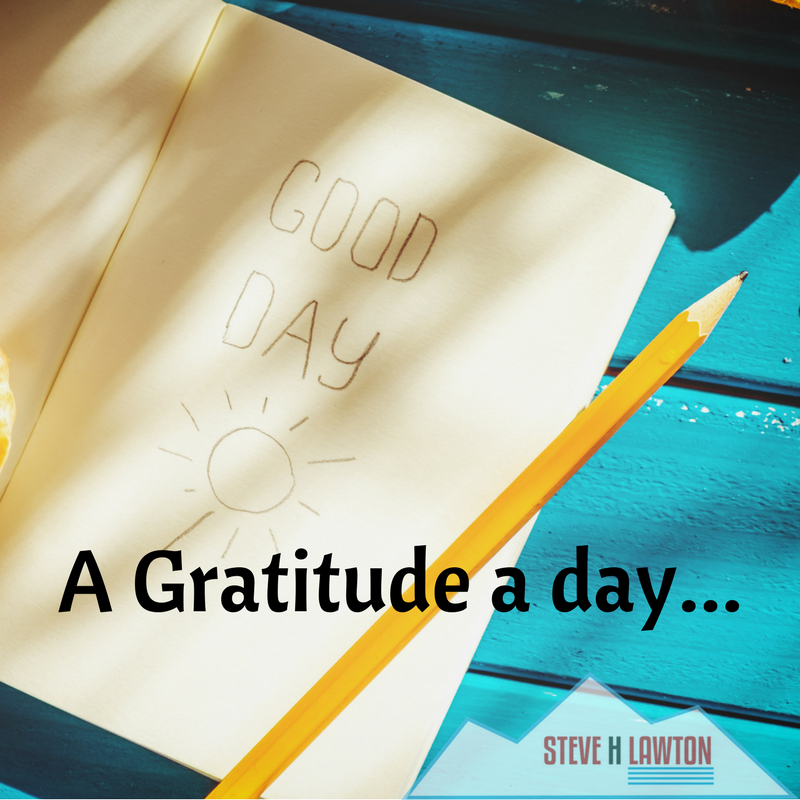 I’m not sure why I chose that day to start this, but I honestly remember struggling to come up with three things I was grateful for. As I look back at my journal entry for that day, the things I was grateful for were simple but powerful. My first entry includes a compliment someone gave to me about what I’ve meant to them, a compliment someone gave me about one of my children, and something my son did. Just re-reading that entry brings back those memories and makes me feel grateful all over again. Writing in a gratitude journal is one of the exercises that has been scientifically proven to improve your #AttitudeFitness. It’s simple, quick and provides an immediate boost to your attitude in the moment and, if done regularly, the boost lasts for an extended period. Here’s the basic instructions: Each morning, write down three things in your journal that happened the previous day that you are grateful for. They can be things you did or said to someone, things someone did or said to you, or things you experienced. During that first week of my gratitude journal, I did struggle a little to come up with three things on some mornings, but it got easier through the week. By the end of the week, it was easy to come up with three things because as I was going through my day, I would notice things that I was grateful for. I would think Oh! I can write that down tomorrow! … Ahah! There’s another one! It was amazing to me how many things happen during the day that I took for granted, but are really things I am grateful for when I think about it. Reading through some of the gratitude entries I have in my journal, many of mine are simple, daily things like I had a nice dinner with my family. I was able to help my daughter and her friends with physics homework. I was able to make progress on a project. Someone asked me for career advice and appreciated my input. Every now and then you get to write down big accomplishments. Those are awesome, but it’s mostly the little things that seem to add up and make the biggest difference. But don’t just take my word for it, a recent study done by researchers at the University of Indiana proved that keeping a gratitude journal made a measurable difference in the positivity circuits of the brain as measured by an MRI scan. Not only did the MRI reveal differences in the physical structure of the brain right after the gratitude journal practice was completed, but those differences in the brain structure also remained present for an extended period even after the journaling stopped. 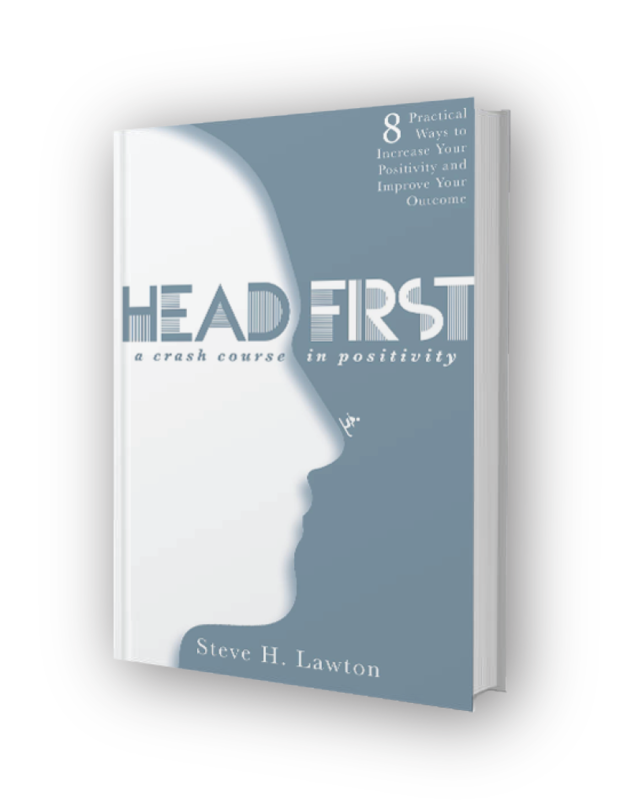 This is a nother example that showed that by practicing gratitude, through neuroplasticity, you can build your overall positivity and attitude fitness. Now it’s your turn: Write down three things you are grateful for that have happened in the last 24 hours. Be as specific as you can be and include a particular person or group, a particular event, and a particular comment. The more specific you are, the more you relive the good memory and the more powerful the entry becomes. Do this every morning for the next week and see if you notice a difference in how you approach your day. If you notice a difference, continue it for a month to make it a habit. Each time you do it, you receive an immediate boost to your attitude in the moment and, if done regularly, the boost lasts for an extended period.